The event held at Westmead Hospital explored the astronomy of Indigenous Australians. 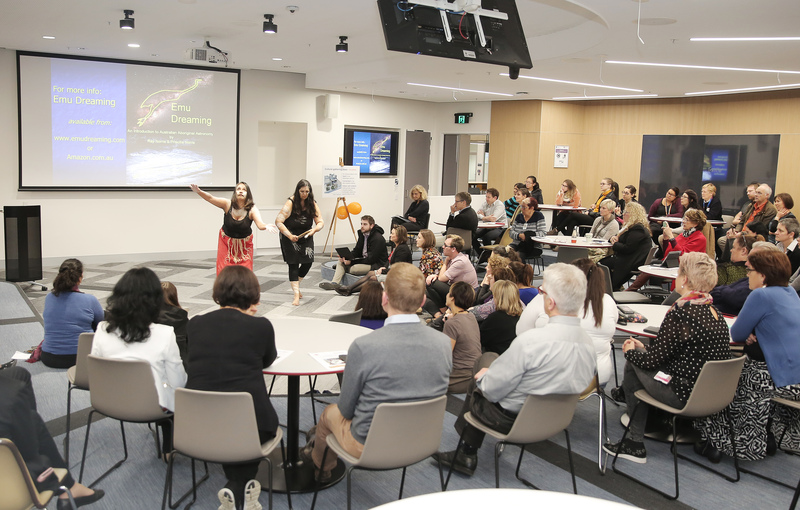 Celebrating Aboriginal people’s connection to the stars and skies was the topic of a thought-provoking talk, given at Westmead ahead of NAIDOC Week. Astronomer Professor Ray Norris addressed a packed room, exploring the knowledge that Aboriginal people have shared with him on the sun, the moon and the stars. Prof Norris, an astronomer with CSIRO and Western Sydney University, has completed extensive research into how galaxies formed and evolved after the Big Bang and the astronomy of Aboriginal Australians. He has also worked with several Aboriginal groups in New South Wales and Northern Territory. The event, organised by the Westmead Precinct Education Hub, The Children’s Hospital at Westmead and the Westmead Redevelopment project team, also included a Welcome to Country by Darug Aboriginal Elder Aunty Edna and a traditional star song, performed by Westmead Hospital Aboriginal health liaison officer Narelle Holden. The Westmead Redevelopment team also gave an update on its Aboriginal Legacy Strategy and Action Plan, which was launched in May, along with how Aboriginal culture will be reflected in the new hospital building, including the cultural gathering place and the project’s arts and culture strategy. NAIDOC Week will be celebrated across Western Sydney Local Health District next week. This year’s theme is Because of Her, We Can. For more information on WSLHD’s NAIDOC Week events, click here.